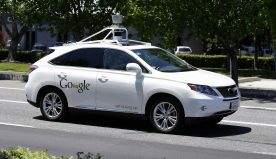 When it comes to the development of self-driven cars, Alphabet is among one of the leading companies. But it might be ascending down its ambitious temper of its eight year plan. Alphabet owned company; Google is always in the news for some or the reason. As per reports by The Information, the tech giant has re-adjusted its focus from the development of its very own self-driving car sans pedals and steering wheel. The company will now partner with automobile manufacturers for creating more traditional cars. There is a possibility that the company might launch an independent ride sharing service by the end of 2017. A latest prototype for Google is being produced by Fiat Chrysler that is based on the Pacifica minivan. In case the testing of the aforementioned prototype is a success, then as per reports, it will be used in the ultimate commercial service. Both the companies have announced collaboration for the development of self-driven minivans back in May. The deal was to outfit 100 Pacificas that would have self-driving technology. 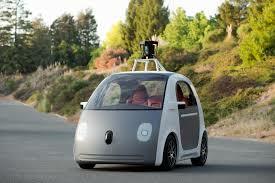 Google was to get more vehicles on the road which in turn would speed up the process of sensor technology development. Larry Page, Alphabet’s CEO along with Ruth Porat, the Alphabet CFO is the mind behind the aforementioned decision. Both of them are of the opinion that the decision to produce a progressive self-driven car sans a steering wheel is an unrealistic idea. There are reports of a controversial move in the Google’s X self-driven division which is called the Chauffeur. 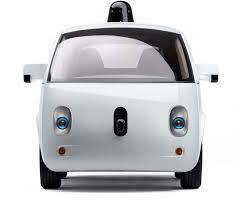 Sergey Brin, Google’s co-founder is also known to favour the plan of manufacturing a wholesome car. The car will soon be removed from the ‘moonshot’ section. Reportedly, the company will now focus on the incorporation of its sensors into conventional vehicles. A report about the aforementioned news was published but the spokesperson from Google didn’t respond for a comment on the same. As far as the Google’s current car fleet is concerned, it has a few pod-cars for two people along with dozens of Lexus SUVs. Reporters have examined both of the aforementioned models in the past in four cities during the on-road testing. However, Google has still not disclosed that the Chrysler minivan which is being outfitted with camera technology, Lidar and Google radar which give the minivan the otherwise regular minivan the self-driving capabilities. So, as of now Google might have retraced back its steps from the self-driving car technology but there are a number of companies that have entered the autonomous car gate. 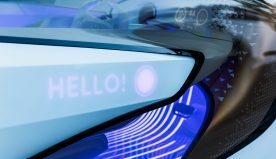 Apart from Nvidia, the tech company, there are small start-ups like Drive.ai and big players from Volvo to Audi have been known to make their intentions related to automating their wares pretty clear. 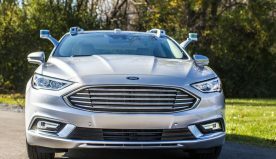 Ford Motor has made public statements too regarding the development of sans a driver’s need vehicles by 2021. As per most of the experts, the automobile manufacturers and tech companies are into autonomous driving system not only for individual transportation but also for offer shared ride options.